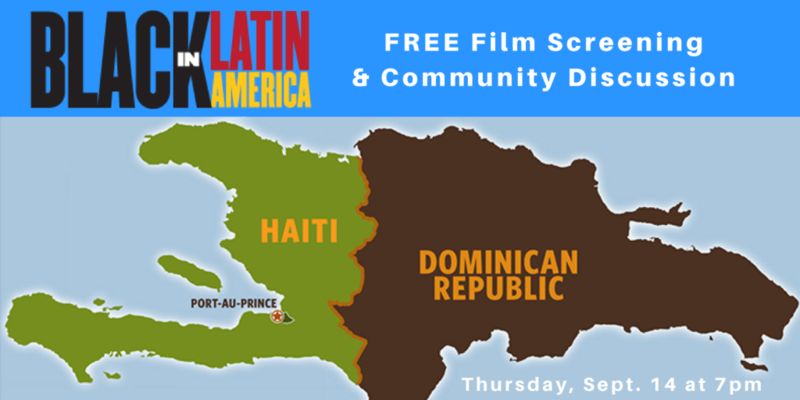 Join us at La Peña Cultural Center on Thursday, Sept. 14 for Episode 1 in the Black in Latin America series “Haiti & the Dominican Republic: An Island Divided”, followed by a community discussion with special guest Pierre Labossiere, founding member of the Haiti Action Committee. Black in Latin America is an award-winning documentary series where Harvard scholar Henry Louis Gates Jr. travels to 6 different nations in Latin America and the Caribbean to explore how each nation’s history with colonialism and slavery directly impacts the ways black people in those countries experience discrimination and institutional racism today. In the Dominican Republic, Professor Gates explores how race has been socially constructed in a society whose people reflect centuries of inter-marriage, and how the country’s troubled history with Haiti informs notions about racial classification.